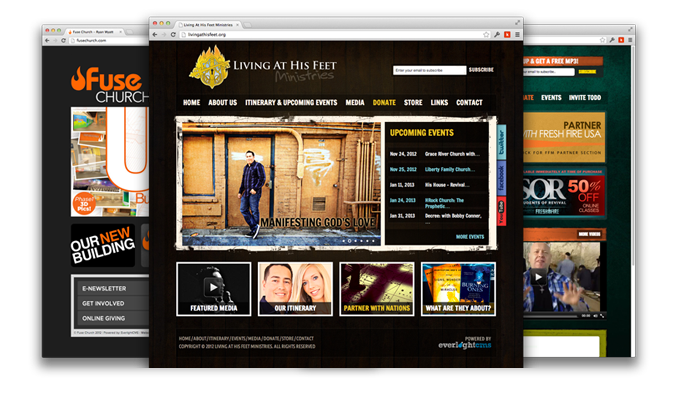 Looking for an Amazing Website for Ministry? What can your Website do for You? it's time to be pro-active. We have an extremely powerful secure donation system. We provide two options for users; one-time simple donations, and account-based one-time/recurring donations. 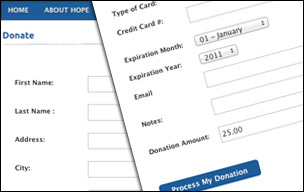 One option allows for a fast simple donation, while account-based allows users to create an account, track donations, print receipts, and manage recurring donations. By far our most sought after feature, allowing you to list all your upcoming events and details. You can also accept free or paid registrations via your website. Coupon codes and discounted early registration fees are also built in. We even take it one step further, built into EverlightCMS is a complete management area for registrations allowing you to use this to accept call-in/walk-in registrations and manage your events with all your data in one central location. Attention: We only have space for four websites per month. Space is very limited and in high demand. We suggest that you Contact Us as soon as possible to reserve your spot. Our goal is to offer affordable websites. We strive to take on projects that are possible to complete for $995. Each project has a goal of one week completion time. Payment plans are available for an extra fee. What are others saying? We work with so many amazing people! What do you get? Here is what's in it for you. We work around the clock to make sure we can help with any questions you may have. We love what we do. We wake up with a smile on our face, so why shouldn't you? Your website is tested to make sure your users will use and love your website. Our features have been tested by over a million users since 2003. 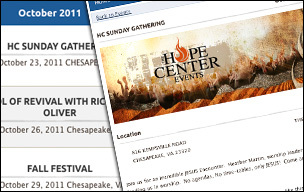 Every ministry that has moved onto EverlightCMS has saved thousands of dollars in develooment and maintainace costs. In fact, you will be amazed at how much you don't have to pay us! Website setups are instant. Well ok.. on a bad day, 3 - 5 minutes. Once your initial setup is complete. We can usually have your site fully loaded with your content in under a week! We just happen to be the fasted in the industry. Tired of waiting on your web developer? You or your assistant can now manage your entire site content so your updates are instant instead of weeks. Eliminate repetative tasks and free up time! 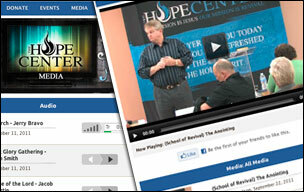 Post a new video to your site and iTunes podcast with one click! Our system and features have been tested by over a million users since 2003. But don't take our word for it. Click here to read a review from a recent EverlightCMS user.